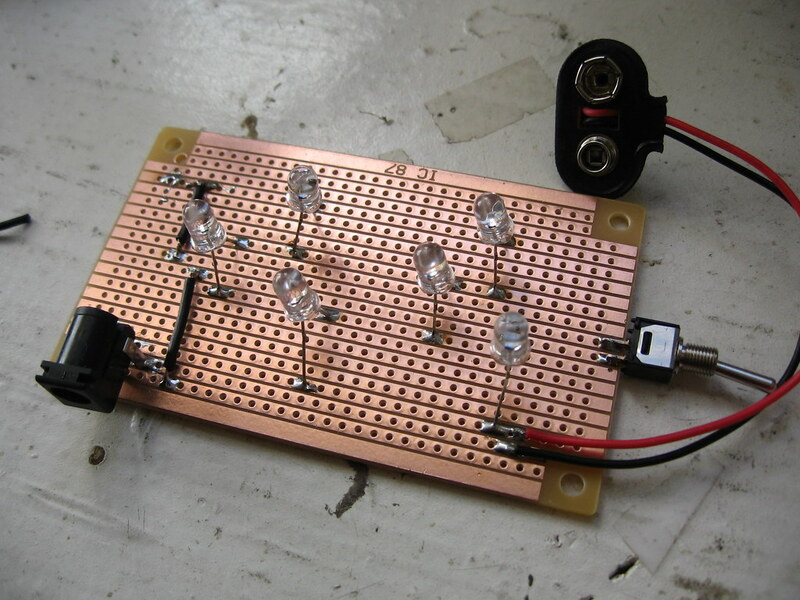 I just posted instructions for building my LED Art Kit at Instructables.com, where it is currently a "Featured Instructable." 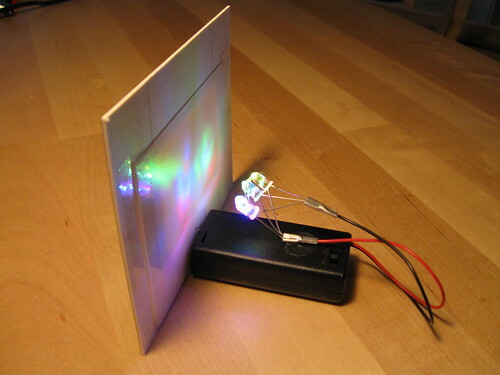 This Instructable is based on the instructions that accompany the LED Art Kits available on Make Magazine's Maker Shed. 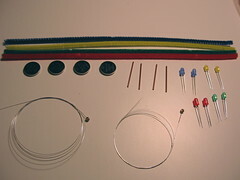 It can be used with the kits, but also includes information for finding the parts yourself. Here's a quick-and-dirty light tent I assembled. I needed to take some pictures of a project that weren't completely awful, so I took the lid of a shoebox, cut a window in it, and taped a piece of velum over the window. I used a couple clamps as "legs." 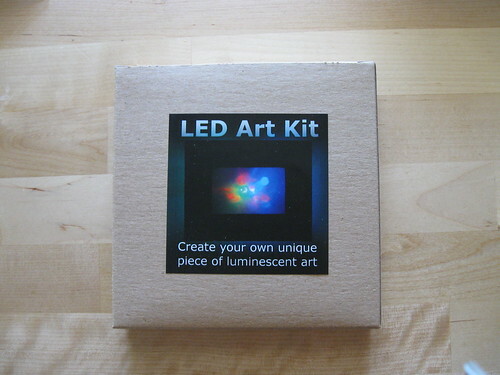 I'll have these new LED Art Kits (Flickr set) ready for the upcoming Austin Maker Faire (Oct. 18th + 19th), where I'll be doing demos and workshops for these (as well as Blinkybugs). 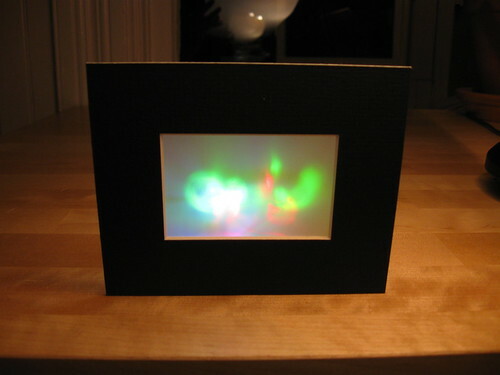 They're really easy to make, and use color-changing RGB LEDs to cast slowly shifting patterns of light on the translucent "canvas." They should be available for sale online soon. My blinkybug kits are now available on Make Magazine's Maker Store. 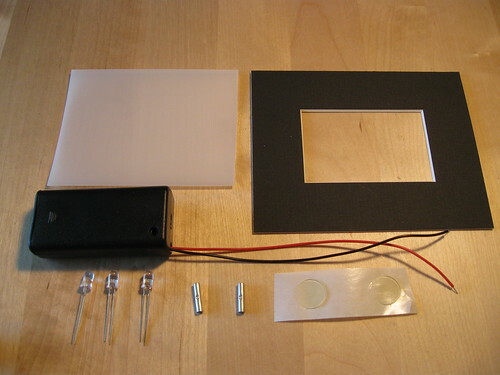 Because some of the parts are hard to come by in small quantities, I'm now offering blinkybug kits on my etsy store. This is for the solder-free version that I designed for the 2007 Maker Faire. A how-to is here. The kits I'm currently offering contain all the parts needed for 4 bugs! If you're interested in larger quantities just drop me a line. This is the "back end" for one of my LED art pieces. Stripboard makes it fun and easy! Click the image for the wicked large version. Those are color-changing RGB LEDs, which run nicely off 3V (without a resistor!) I got the barrel jack connector, along with a nicely matching 9VDC regulated power adapter from SparkFun. Simple, no? 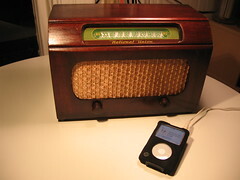 I did this a while ago but thought I'd post it up here: this is a project where I converted an antique radio to an iPod amplifier. I ended up writing this up for Popular Science Magazine (November 2006: "Antique Geek Chic"). This actually pissed off a few people who felt I was destroying our American heritage. But the fact is (which wasn't made clear in print) that I preserved the original innards of the radio so that it could, if someone desired to do so so someday, be restored to its original form. Here's the latest thing I've made using those nifty color-changing LEDs. 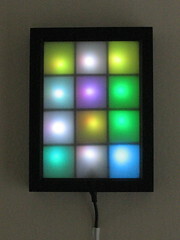 It's another wall-hanging piece, broken into a grid of pixels that cycle through various colors. One might imagine that it's continually outputting a series of randomly-generated low-resolution computer icons. But if you lay it down flat one could also imagine that it's a very small disco floor. You can get a vague sense of how it looks by watching this Flickr slideshow. 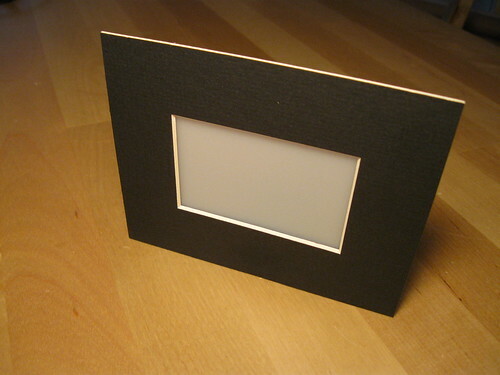 I use the same color changing LEDs to make these which I offer on etsy. 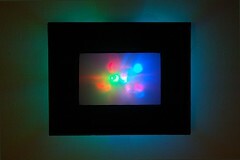 I make these framed, color-shifting LED light art things. The colors and patterns slowly shift over time, and the frame is spaced away from the wall so that the piece projects a "corona" on the wall around the frame. Pics. These are available on my etsy store.